Focusing on Web Design, Usability, Search Engine Optimization, WordPress, & E-Commerce. We takes pride in building unique web experiences for clients and users alike. 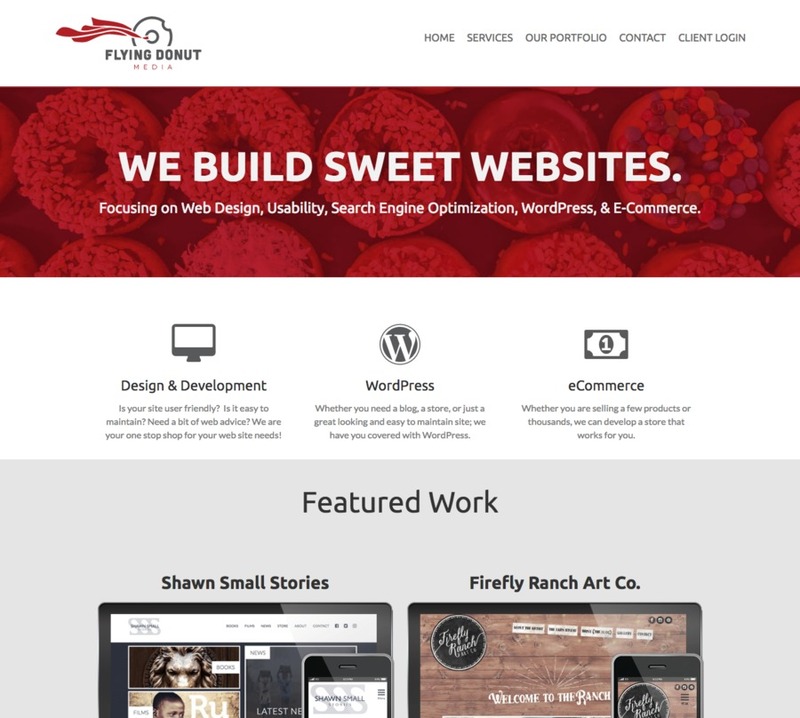 Flying Donut Media is a full service web design studio. We focus on web design & development, Search Engine Optimization, WordPress design & development, E-Commerce, Facebook Pages, and Graphic Design.